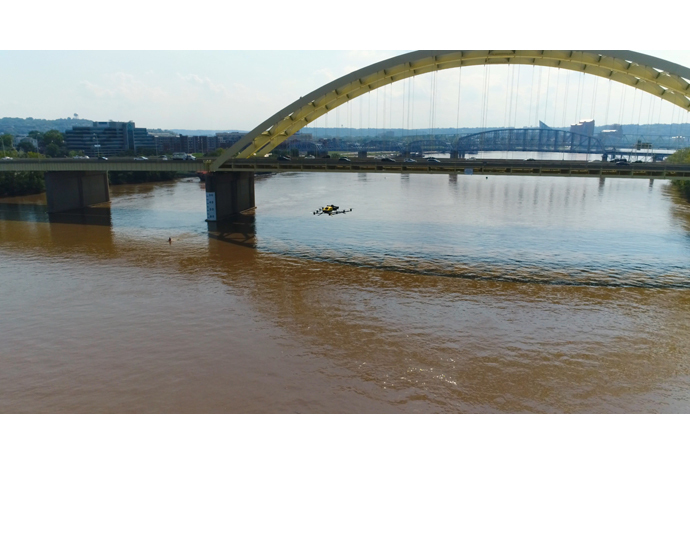 What’s New: Intel collaborated with two departments of transportation to improve bridge inspections, supplementing manual inspections of the Daniel Carter Beard Bridge connecting Ohio and Kentucky and the Stone Arch Bridge in Minnesota. Throughout the inspections, Intel’s advanced automated commercial drone hardware and software solutions increased efficiency and produced more reliable data in a fraction of the time and cost of traditional methods. Why It Matters: More than 600,000 bridges are in the U.S., and nearly 10 percent of them are currently rated structurally deficient or obsolete. Each bridge is structurally unique and needs regular inspections to achieve safety requirements for general use. Traditional inspection methods can be dangerous, costly and time-consuming. And they often provide unreliable data. These methods also obstruct daily traffic patterns with road closures, rely on manual labor that doesn’t always capture accurate data for proper rehabilitation assessment, can be prohibitively expensive to publicly funded sources, and require many work hours. How It Pays Off: Intel’s full suite of commercial drone solutions assisted officials in the full drone workflow, from the flight planning and aerial data capture to the cloud-based digital data management, processing and analytics. In some cases, this resulted in a 40 percent cost savings over standard inspection processes. 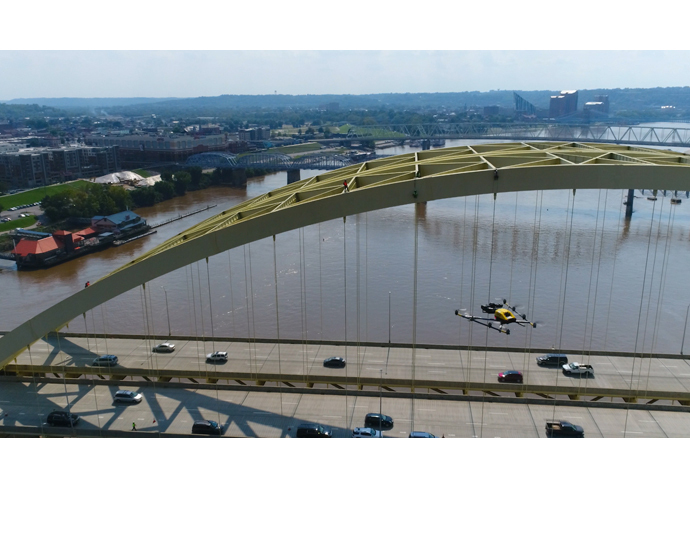 How It Works: In collaboration with the Kentucky Transportation Cabinet and Michael Baker International*, Intel used its drone technology to help inspect and analyze the Daniel Carter Beard Bridge, an eight-lane interstate that crosses the Ohio River. Nearly 100,000 vehicles cross the bridge daily, and even minor obstructions, such as lane closures, can result in costly delays. 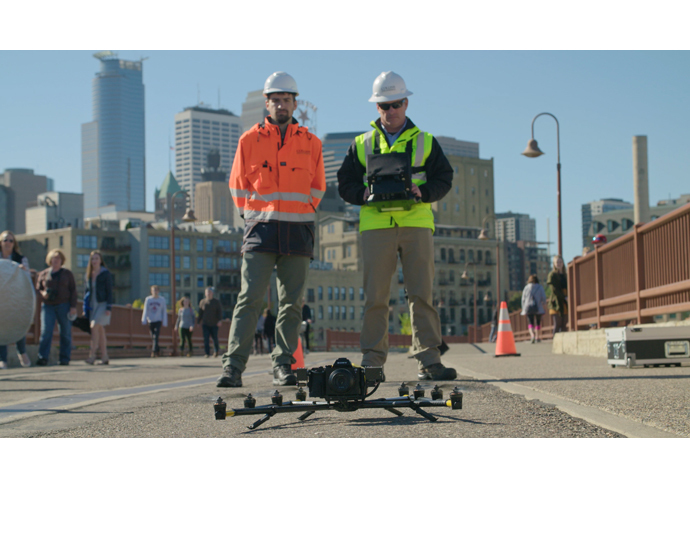 Between lift-off and landing, this automated inspection with Intel® drone technology enabled the bridge to remain open and fully functional while the team completed the assignment. 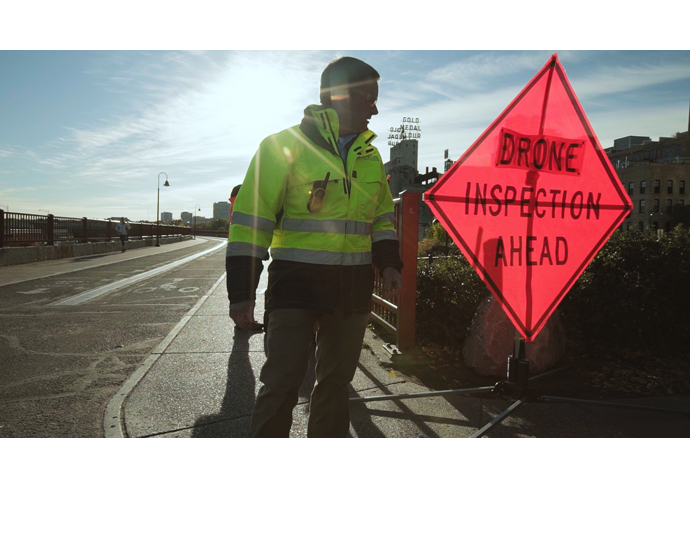 For this inspection, the Intel drone captured about 2,500 high-resolution aerial images, generating 22GB of data that was uploaded into the Intel® Insight Platform. 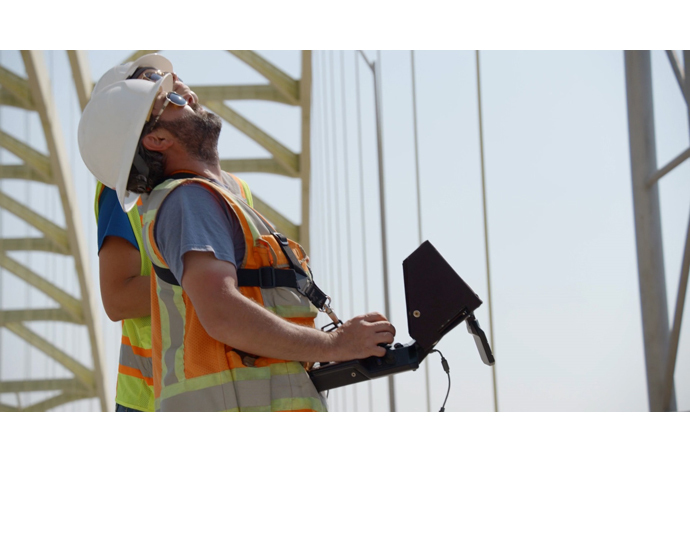 Using the images, a 3D model – or a digital twin of the structure – was generated to aid with analyses and visualization that can also be applied to monitoring the paint deterioration and cable stability of the bridge over time. 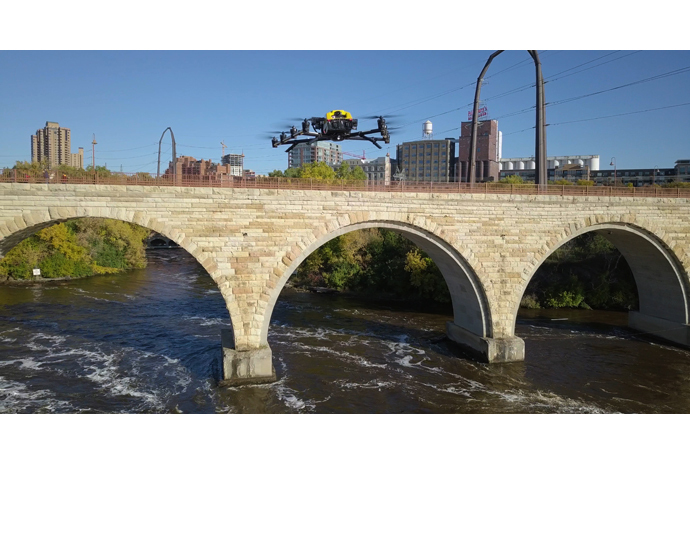 Separately, working with the Minnesota Department of Transportation and Collins Engineers*, Intel and its commercial drone technology helped expedite an inspection of the iconic Stone Arch Bridge, a landmark pedestrian and bicycle bridge in Minneapolis, with increased automation. 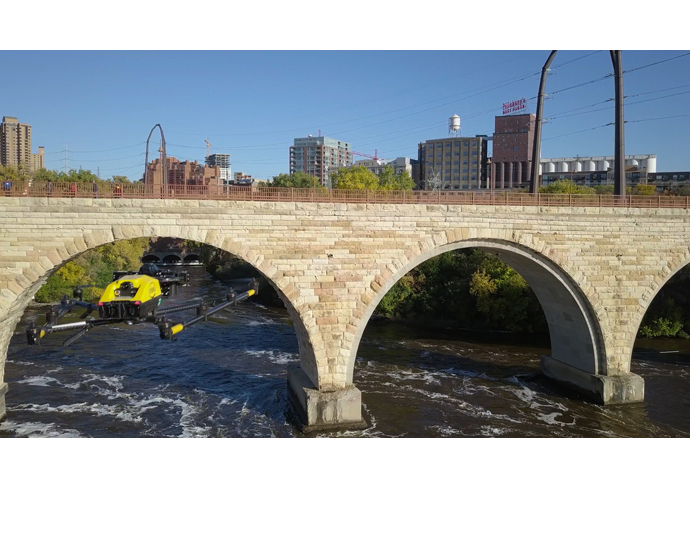 While most bridges are inspected every 24 months, officials inspect the Stone Arch Bridge annually due to the complex nature of the structure’s aging masonry and a fractured steel span. Incorporating Intel technology, MnDOT and Collins Engineers increased efficiency, reducing work hours by 28 percent. The work resulted in an inspection cost savings of approximately 40 percent that could save taxpayers an estimated $160,000 over the next 10 years. What’s Different: The Intel® Falcon™ 8+ drone performs despite certain external influences such as windy conditions or electromagnetic interference. The robust and advanced flight system provides safe, scalable access to hard-to-reach locations, reducing the need for risky hands-on methods such as rope access. By programming automated flight paths with Intel® Mission Control, inspectors can capture high-quality aerial data with the push of a button without obstructing commuter’s traffic patterns and while helping to improve safety for workers and travelers. 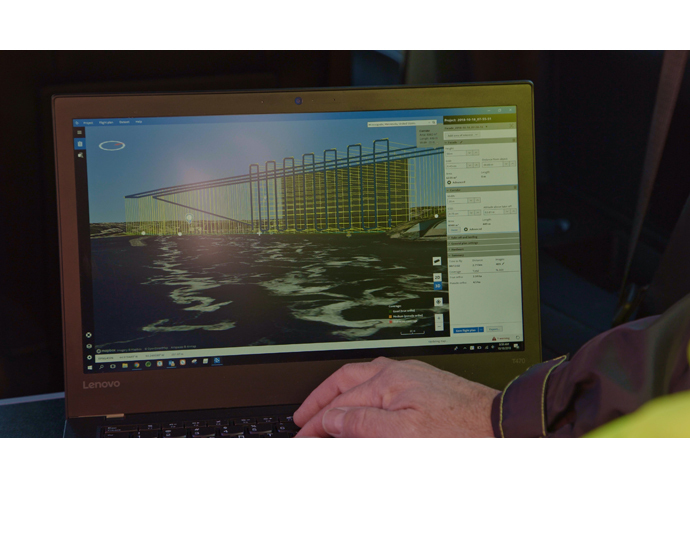 Intel Mission Control enables inspectors to create flight plans for complex 3D structures such as bridges and enable the ability to duplicate flight plans for future inspection missions. The result is a repeatable mission to capture quality consistent data to monitor the condition of the bridge and areas of deterioration down to millimeter accuracy, and to compare that data over time. The data collected by the drones were uploaded to the Intel® Insight Platform, Intel’s cloud-based digital asset management tool. After collecting additional data in the future, these various sets of information can be compared to detect and monitor changes, allowing experts to extract images and notes about key areas of interest to share more broadly with inspection and transportation bureau teams.